As promised we did the draw for the second set of Mane Event tickets to give away at noon. Congratulations Denise Pezderic, you’ve got yourself two passes to this weekend’s Mane Event in Red Deer, Alberta. Pick up your tickets at the front ticket booth at the show. Our May/June issue just rolled off the press, and I want to share some of the contents with you. We interviewed three Canadian barn builders and profiled a barn from each, timely and great ideas for anyone considering a build or reno this spring. 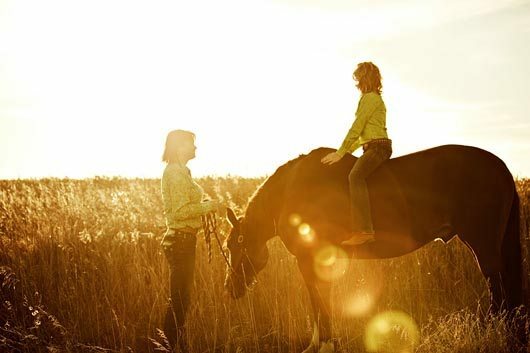 Our regular feature Out West, celebrating life in the West, pays homage to mothers and daughters and their horses, just in time for Mother’s Day. 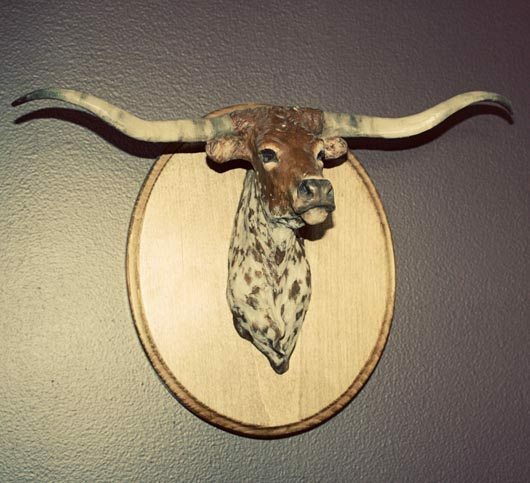 Hayfork Steer by Vel Miller, Atascadero, California – wall mounted bronze. This magnificent bronze is hanging on the wall of the horse person we’ve featured in our new Western Art feature – What’s Hanging on Your Wall, which asks just that question of horse people. We also profile B.C. artist Liz Mitten Ryan and tell you how the Glenbow Museum Senior Curator gathered up almost all of an original 17 Charlie Russell originals featured in the Calgary Stampede #1. Western Style Editor, Deanna Beckley shows you how to build four outfits for the show ring and profiles the best in equine shampoo and conditioners of the season. Also kicking off this issue is a series we’ve discussing at editorial meetings for some time. 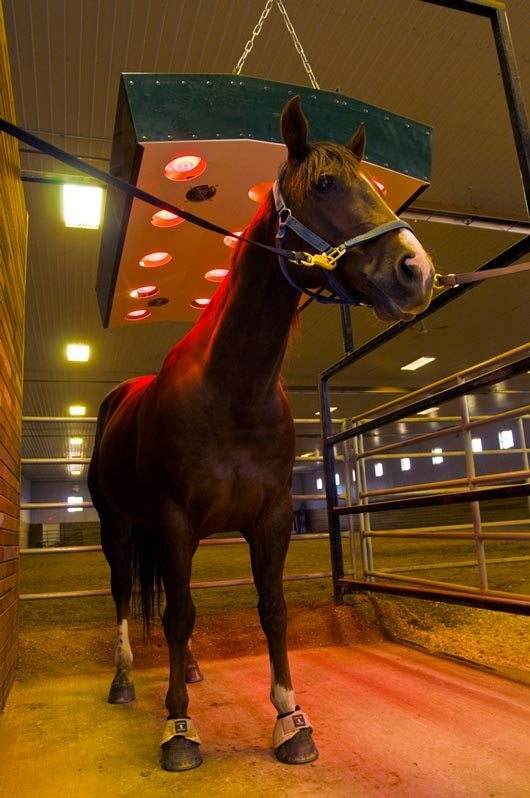 Our Alternative Therapies begins with a look at the infrared light therapy and it’s benefits. Also in the health department, two potentially crippling lamenesses: navicular disease and laminitis are explored. As well we take a look at the benefits of packing a hoof boot along in your trailer. 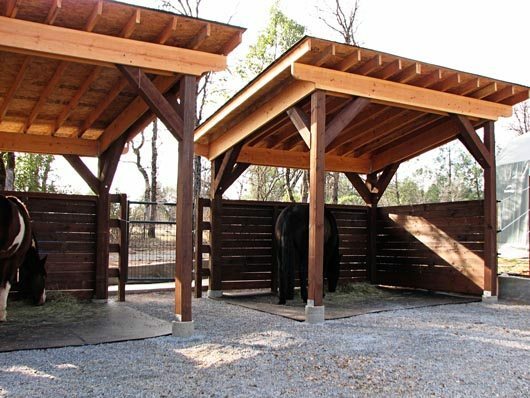 While she generally tackles health related articles for the magazine, in this issue, Equine Health Editor Susan Kauffmann details the step-by-step plan she and her husband employed to build these sturdy and beautiful horse shelters. Don’t expect these to blow away in the next wind storm. In the third instalment of the series Futurity Road, we continue to follow the paths of five futurity bound barrel racing prospects. In this segment, five becomes four as one of the prospects is sold, trainer Raylee Walters reveals her barn must-haves, catches us up with an analysis of the latest events the hopefuls competed in and also discusses the bit she has been using for each of the four remaining horses. Speaking of bits, cutting and cow horse trainer Dustin Gonnet reveals his handy go-to bit in our Bit of the Month. 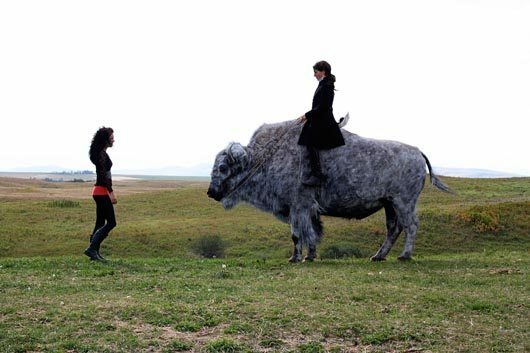 Trick rider and Cavalia star Sally Bishop talks about the ups and downs of stunt riding and life on the road. She’s an incredibly brave woman with such a positive outlook on life, it’s not hard to find inspiration through the eyes of this accomplished horse woman. 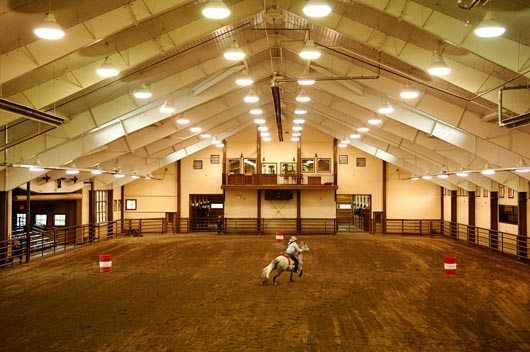 Our ranch profile spotlights an ambitious and incredibly functional facility near Bozeman, Montana – Copper Spring Ranch. Lisa Scheistel continues her series on training the two-year-old, and, drum roll. . we’re really pleased to present an exclusive article with Shawn Flarida, in our Secrets of a Four-Million Dollar Man. It seems he doesn’t appear to be stalled at four million dollars either, as he just won the Open at the NRBC Classic. Finally don’t miss 15 charming bed and bales stops across Canada, and a recap on the high sellers so far in spring sales (prices appear up!). 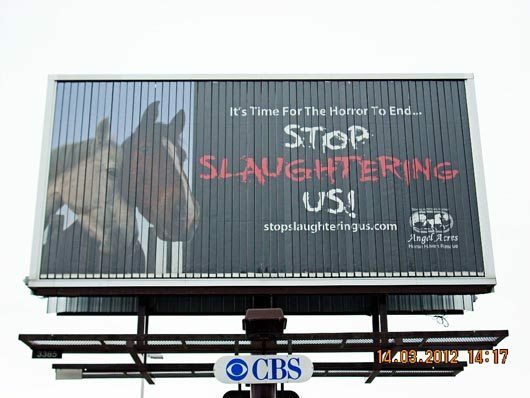 A billboard campaign posted by Angel Acres (a US based anti-slaughter group), displayed along an Ottawa, Ontario highway. Last, but certainly not least – it’s an emotionally charged subject and one close to Canadian horse people, whether we like it or not, as our country allows horse processing. 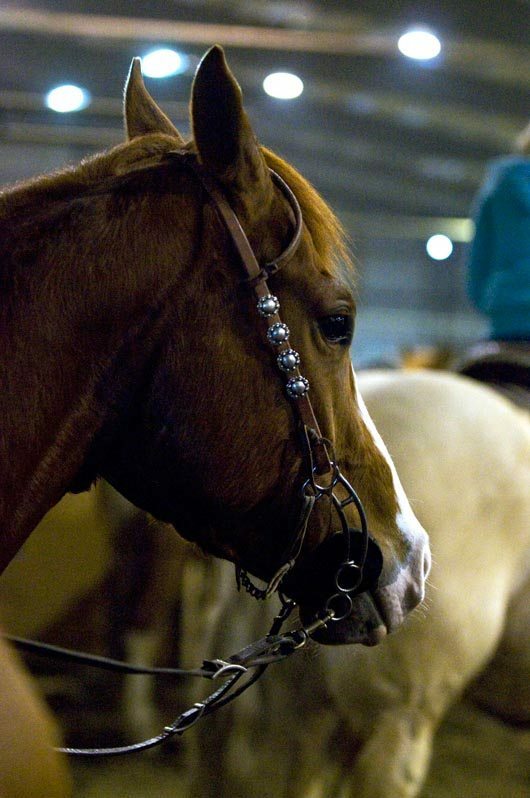 Feature writer Deanna Buschert examined her own thoughts and feelings on the subject as she visited a horse meat processing plant in Alberta to document the tender subject of horse slaughter. We hope you appreciate her candidness and professionalism on the subject. Hope you enjoy the issue. If you’d like to subscribe do so here. As well, we’ll have some single copies of this issue for sale at the Mane Event. Please stop by the Western Horse Review booth, not only to pick up a copy, but check out our giveaways and contests. We look forward to chatting with you. Thanks so much for tuning in, and have a great weekend!